HONG KONG – Sales of Teslas in Hing Kong have stopped, as a recent tax change has nearly doubled the price of the car. New information indicates that the sale of electric vehicles in Hong Kong came to a grinding halt after the government dropped tax incentives for buying the environmentally-friendly cars. The tax liability on purchasing a new car in Hong Kong can sometimes be as high as the value of the car itself. 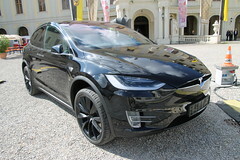 The government had previously offered to drop the new-car tax on electric vehicles entirely, leading to Teslas becoming one of the most popular among consumers. However, in an effort to crack down on increasing traffic congestion, the government has capped the tax break on Teslas at a maximum of HKD 97 500. The announcement by the government that the tax break would be dropped had an immediate and pronounced effect in the city, with a surge of sales February and March, reaching 590 and 2 939 respectively. Then, in April and May, the sales dropped to nothing and 5, respectively. Despite the fact that Tesla cars are now nearly twice as expensive as they were earlier this year, a spokesperson for Tesla has said that the company expects consumer demand to remain strong in Hong Kong.